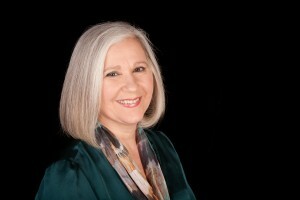 Connie Prodromou, L. Ac., M.S., M.I.M.® | Marin Health Empowerment Center | I am the Guiding Light that illuminates deeper possibilities for inner peace, health and happiness. At Marin Health and Empowerment Center, Connie offers a new way of restoring and maintaining your health and wellness. This is not your mom’s way to heal but an even better, long lasting, more comprehensive and more effective way of eliminating pain, inflammation, allergies, anxiety, fatigue, and more. Most of us grew up with the model of “you only go to the doctor when you are sick or in pain and usually you only go once to get a prescription to numb/mask the pain or schedule surgery”. It wasn’t common to go multiple times except for therapy. In my work, we follow a different model where there are three stages of healing which allow us to get you out of crisis stage, then determine the root cause of the problem to restore energetic balance and subsequently maintain the progress with periodic sessions. Often people don’t even know how poorly they feel until they start to feel normal again with this work. Since I look holistically at the symptoms, the person’s body, mind and spirit, and energetic imbalances, I can determine if the seemingly unrelated symptoms are actually connected and how we might resolve the deeper causes. When energetic balance is restored, oftentimes many other symptoms are resolved as well without actually directly addressing them. Stage One: The first stage is like triage where we assess the problem- pain, rash, depression, anxiety, allergies then proceed to get you out of crisis stage. This stage is meant to calm the symptoms to enable you to function again. On average, this could take 1-5 sessions. Stage Two: The second stage is designed to determine the root cause of the symptoms so a more long lasting resolution can be found. Without this stage, the symptoms are just masked or temporarily resolved and can easily recur. It would be like covering up the illuminated oil light on our car and thinking that since we don’t see it any longer, the problem is resolved when in fact the problem still exists and can lead to even greater problems if ignored. On average this stage could take 3-10 sessions. Stage Three: The third stage is maintenance and is very important to maintain the new state of health and wellness. Much like we maintain our teeth or our cars, we need to maintain our health. Life happens and events can throw us out of balance so we need this stage to restore balance. It is much easier to fix if the client doesn’t wait until they are a complete wreck again. Most clients are committed to staying in this healthier, happier state so they come regularly to maintain it. For most, this stage could involve monthly visits in the beginning that can be extended to quarterly visits if the client holds the balance well. At this stage it depends on how much a person value’s the better, healthier life they have attained and how much it is worth to them to maintain it. For anyone who has had serious health problems especially pain, they know that the value of their health and vitality is priceless compared to a life of pain, misery and fatigue. This treatment protects you from this year’s flu viruses without having to get the toxic injection AND you learn how to repeat it at home for others or yourself if you are exposed to it. This has been a very effective treatment that I have offered for years. Call 415.485.1639 to schedule your appointment!